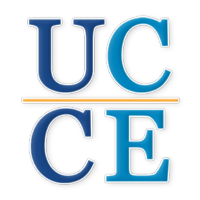 The University of California Cooperative Extension (UCCE) coordinated an economic impact analyses on various agricultural industries in Sonoma County. This was an outcome of the North Coast Regional Food System Network (NCRFSN) led by Dr. Stephanie Larson. These economic impact analyses provided estimates of how each agricultural business, dairy, grass-fed beef and grain operations, affect both job creation and generate business and tax revenue in the North Bay. This information helps us understand the broad economic impacts these industries have on the North Bay region, on other industries involved in both supplying and supporting agriculture, and how each industry’s expansion can affect the expansion of other businesses. Differences to industry benchmarks, especially regional comparisons to typical state and national farms, will provide policy makers and farmers/ranchers with insights into regional challenges. The report identifies all activities on the farm for a specific product Agricultural Value Chains & Economic Impacts: Dairy, Grass-Fed Beef, & Grains in the North Bay Counties. The value chains are comparison tools. While some farmers and ranchers may face lower costs than others, profits may be similar. Value chains consider profit made as an “activity”. For each farm or ranch, tasks are done “better” than a competitor when more value is added in comparison; for the same task, the farmer receives more profit than the industry on average. A value chain can also show policy makers where farmers and ranchers need help in either providing direct financial assistance, regional cooperation, or provide incentives to attract a regional supplier or service provider to lower costs and boost profits. 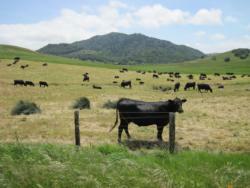 UCCE will lead efforts to develop a model that can be used to assess all agricultural industries in Sonoma County. This information will assist farmers and ranchers to become more sustainable and will help increase local food access to Sonoma County residents.